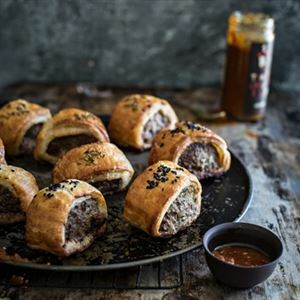 "I ‘borrowed' this recipe from my time spent on a work placement in a lovely little restaurant called La Régalade in the 14th arrondissement in Paris. 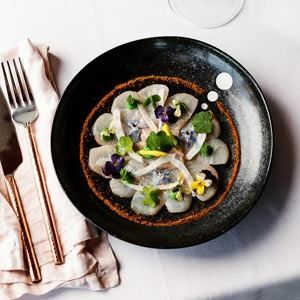 A man used to bring fresh truffles straight to the window of the kitchen, and the head chef, Bruno, would meticulously mince them for hours and then add them to softened butter. To this day, truffles remind me of my time in Paris. 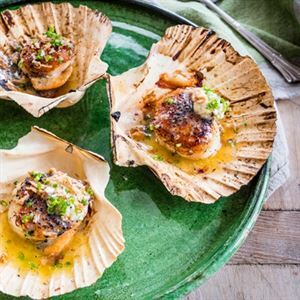 I love cooking scallops in the shell; the roasting aromas that emanate from the baking shells just sing out and capture memories of beach barbecues. 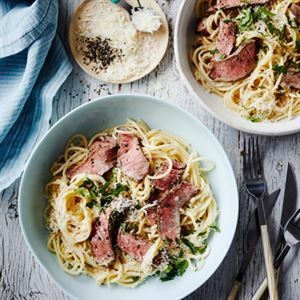 If you are lucky enough to have some fresh truffle to hand simply substitute 200g of ordinary butter for the truffle butter, then shave the fresh truffle on top of the cooked scallops." 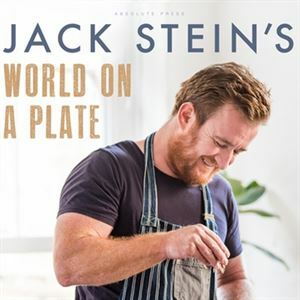 - Jack Stein. Mix all the ingredients together in a mixer fitted with the beater attachment, or you could do it with a hand mixer. Roll the butter into a sausage shape and chill until firm (or freeze it if you want it to last a while). This recipe will make more than you need, so freeze any leftovers. Preheat the grill to high and the oven to 220°C Fan. When you are ready to serve, cut twelve 1cm slices of the truffle butter and set aside. Place the scallops on a baking tray, season with salt and drizzle a little clarified butter on top. Grill for 2 minutes, then remove and place a slice of the chilled truffle butter on top of each scallop. Bake in the oven for a further minute until cooked (the scallops should be opaque and slightly browned). Place 3 scallops on each plate. Sprinkle over the chives and crispy shallots and top with the shaved truffle, if using.